Houses built from environmentally friendly material, such as timber, are now very popular. When building a house, special attention should be paid to the quality of the floor, since with poor-quality installation, all the heat will leave the room. In order to properly lay the floor in the house from a bar, it is necessary to select high-quality wood and responsibly approach the installation process. Before starting to work on laying the floor in the house of the bar, prepare the surface. Then, using the construction level, the “subfloor” is measured, and the highest point in the room is located. It is from this point that the installation of the floorboard will subsequently begin. Further marking is applied to the surface. 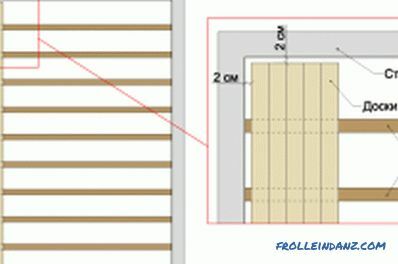 Since a sound-proof layer is installed under the wooden floor, the thickness of which is 10 cm, its level also rises by 10 cm with the help of log and bars. All wood before work is necessarily treated with an antiseptic solution. To make the floor qualitatively, only recessed material is taken for the retaining bars. Otherwise, it easily absorbs moisture, and, as a result, in a couple of years the wooden floor will begin to creak. Retaining bars with a cross section of 50x50 mm are installed at a distance of 40-60 cm from each other. A waterproofing layer is laid under them to avoid rot from moisture. Ruberoid strips are perfect for this purpose. The retaining bars are fixed to the subfloor using self-tapping screws 10 cm long and dowels 6x40 mm in size. 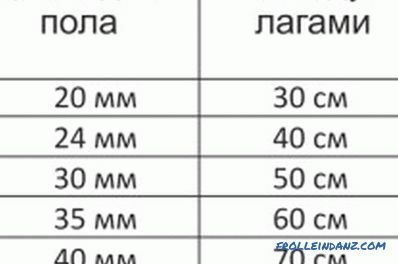 Table of the distance between floor lags depending on the thickness of the floor board. After installation of the retaining bars, logs are erected, the cross section of which depends on the expected load on them (150x100-200 mm). They should be perpendicular to the direction of laying the floorboard. The distance between the lags depends on the thickness of the board, i.e., the thinner it is, the closer to each other lags are installed (50-100 cm). Installation begins with a previously marked highest point. In this case, the lag is given a strictly horizontal position. To achieve the required level, under them are additionally enclosed layers of ruberoid. Fastening lag by using screws, length of 80 mm. Next, you need to lay layers of sound and heat insulation, and if necessary, the vapor barrier. 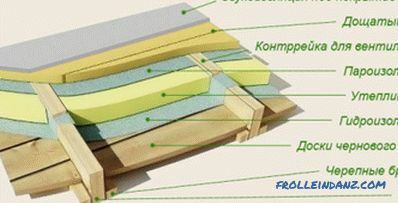 The thermal insulation layer is best performed using mineral wool. This will prevent the further emergence of the drum sound of the floor and will create comfort in the house from a bar. Floors in a house built from a bar should be made of good quality wood such as beech, oak, spruce, pine, etc. Installation should start from the wall of the room. When installing the first board, a gap of 10 mm is left on all sides of the slot to the wall. To fix this distance, apply gaskets, the thickness of which is equal to the gap (10 mm). Fastening the first board is carried out to each lag with the help of two screws, 60 mm long One of them is twisted from the side of the wall, retreating from it 30-40 mm, the other is fixed in the corner of the ridge at an angle of 45 0 so as to subsequently drown the cap. The next and all the other boards are fastened using the element for the stop. For this, the stop board is fixed to the logs with self-tapping screws at a distance of 20 cm from the previous floor board. At the same time, each new floorboard is placed in the support to the installed board, and between them are wedges made of wood 20-25 cm long. They are pressed against the support board, then they are struck with a mallet or hammer until the boards will be right next to each other. The last floorboard must be installed, leaving a gap of 10 mm from the wall. To do this, you need to get the crest into the groove at an angle to the horizontal, then compress it with wedges that run into the wall. 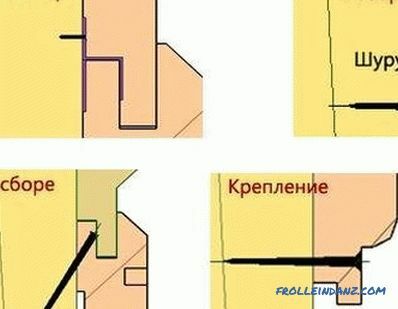 In order not to damage the wall, gaskets are inserted between it and wedges, for example, from pieces of thin plywood. The last board is fixed to the logs with self-tapping screws at a distance of 30-40 mm from the wall. Next, all defects are removed from the finished floor with wood putty, which is matched to the color of the wood. After that, the entire surface is polished. If there is no such need, then the wooden floor is treated with the help of small skins. How to make the floor reliable and durable? To do this, it is necessary to protect its surface. 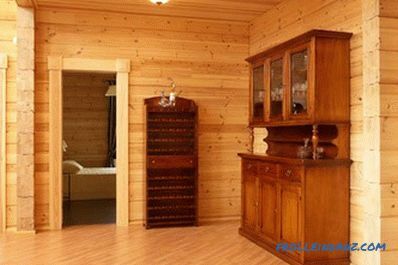 In order to maintain a microclimate indoors, a polyurethane-based varnish treatment is carried out. The steps for installing a plywood floor. 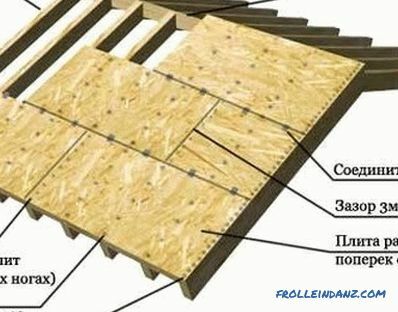 In houses from a bar, the foundation of the subfloor can be made of plywood, as this material is durable and is not deformed. This coating is not recommended to be installed in rooms with high humidity, such as a bath and a bathroom. 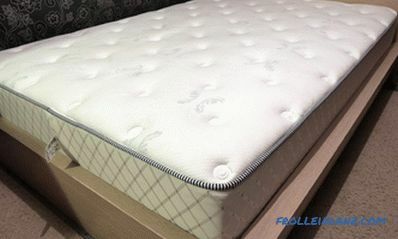 Before starting work, it is necessary to draw up a pattern for laying sheets, then carry out a marking on which lags will be installed. Further, over the entire area of ​​the floor for its alignment beacons are installed. Moreover, its entire surface is divided into squares (200-300 mm), in the corners of which self-tapping screws are inserted. Installation of beacons is carried out using the level. Then the installation of the lag is performed. The distance between the bars depends on the thickness of the plywood sheets (400 mm). In the event that cross boards are installed between lags, the distance between them increases to 500 mm. To avoid sagging lag, pieces of plywood, greased with glue, are enclosed under them. 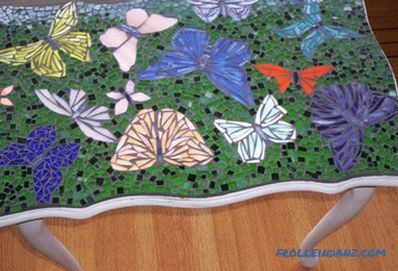 Also with this glue the whole area of ​​the floor is soaked so that it does not crack further. To protect it from condensation, a layer of glassine is laid before laying the plywood. Plywood is installed after the glue has completely dried. On the logs must be placed the edges of its sheets. They are stacked in a checkerboard pattern. Between all sheets, a distance of 1-2 mm is left. This is necessary in order to exclude their possible deformation. 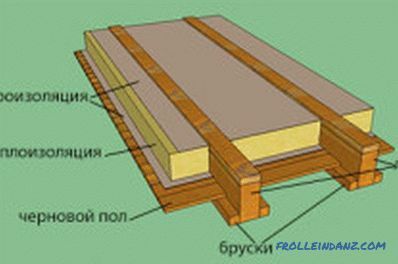 Fixation to the logs is carried out by self-tapping screws, which are mounted in the corners and in the middle of the sheet (8-9 pieces). At the end of the work the joints are processed with a grinder. How to fix Euro-rail correctly? 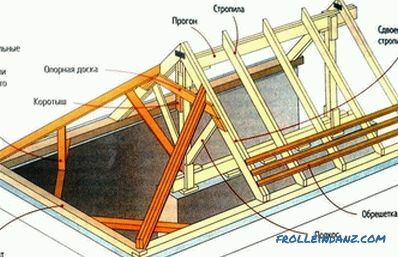 How do you install the rafters? 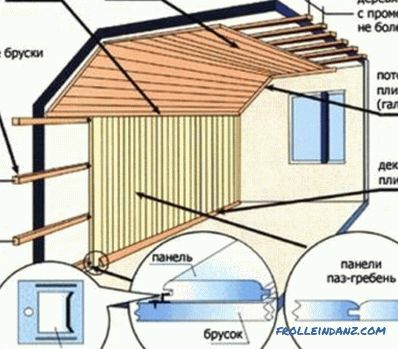 Step by step instructions on how to install the rafters with your own hands. Preparatory stage. Varieties of designs rafters. Necessary tools for work.